Me and mosquitoes, we have history. When I was a kid, mosquitoes loved me. Before going out in the woods during the summer, I’d have to bathe in bug repellant first, otherwise I’d get eaten alive. I seem to be less attractive to the little bloodsuckers now, but it looks like my younger son has inherited his old man’s alluring ways with all things mosquito — he comes home from camp with five or six new bites every day, no matter how much bug spray we spray on him. Then there were the three summers in college I spent with the Massachusetts Department of Public Health. My job: trapping mosquitoes. I was in a lab that conducted surveillance for the Eastern Equine Encephalitis virus (EEE; “triple-E,” we called it). It’s a scourge of people and horses, and it’s carried by mosquitoes. Mosquitoes like people because they like our blood. Not all 3,000+ species of mosquito worldwide, mind you. Just those of the relatively few species that bite humans, and then only the females; they use proteins from our blood to help make their eggs. But they definitely seem to prefer some people to others. In fact, it’s estimated that between 10 and 20 percent of people are irresistible to mosquitoes. Why is that? 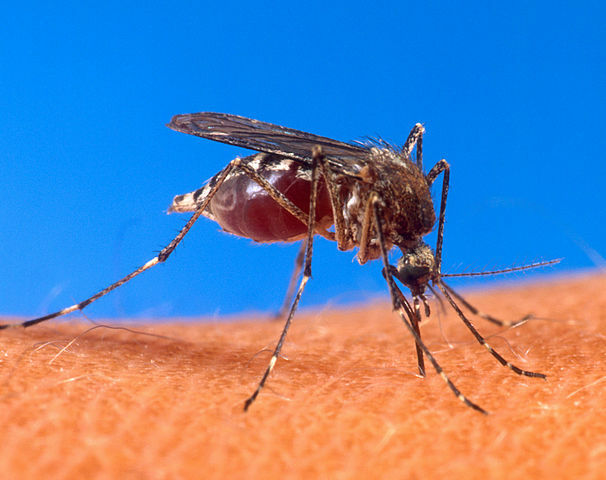 Why do mosquitoes bite some people more than others? A mosquito’s antennae and head are studded with receptors and proteins that together operate like a large nose. With them, the bug smells different compounds and chemicals that we release from our skin or in our breath. And what smells make the best mosquito attractants (aka kairomones)? Carbon dioxide. Mosquitoes are exquisitely tuned for finding sources of carbon dioxide. One can start to smell the CO2 on your breath — and your breath is mostly CO2 — from roughly 55 yards (~50 meters) away. And the more you produce, the more likely the skeeters will find you. Pregnant women, for instance, produce about 21% more CO2 than average. Cholesterol and other steroids. Some of the cholesterol in you body gets used in your skin cells. The more cholesterol in your skin cells — which is not an indicator of whether you have high cholesterol levels in the blood, but is related to how quickly you break it down — the more mosquitoes will like you. Certain acids and other chemicals in your sweat or breath. Uric acid, lactic acid and acetone are near the top, but there are bunches of others as well. Heat. 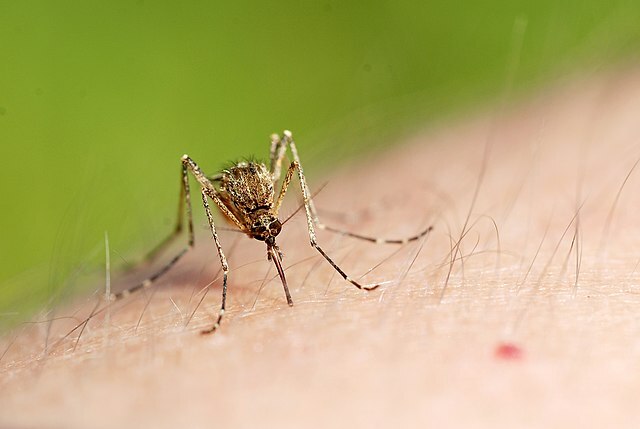 This is more of a seeing thing than a smelling thing, but it’s one of the first cues mosquitoes use to tell whether there’s a bird or horse or person nearby that they might want to bite. The warmer you are — and again, pregnant women stand out here, as they tend to be a couple of degrees warmer than the rest of us — the more mosquitoes you’ll attract. All of these things can contribute to one person being more mosquitophilic than the next. But in large part it comes down to genetics. It’s thought that your inheritance bears some 85 percent of the blame for why you are a mosquito magnet. So what’s the profile of someone irresistible to mosquitoes? A perfume-wearing pregnant woman who hasn’t showered in a few days, running around a track in dark clothing on a hot, humid day after a couple of beers and some Limburger. And mosquitoes do not prefer blondes to brunettes. UPDATE: I was just schooled (rightly so) by a teacher friend of mine who reminded me that “exhaled air isn’t mostly CO2. Although it does have about 100x more CO2 than inhaled, CO2 is still smaller by percent than N2, O2 and H2O.” Sorry teacher!